Climate change is a substantial change in a regions average weather patterns including average temperature, precipitation, and wind. This phenomenon has naturally occurred through out our planet’s history. Such periods as the ‘ice age’ are allegoric possibilities of the degree in a regions conclusive shift. The difference between historic events and current ones are the speed at which these shifts may be occurring, due to an increase of human activities contributing to the production of greenhouse gases. What Role Does Global Warming Play in Climate Change? The balance in our ecosystem has been disrupted and the earth’s climate is currently changing at a record speed, caused by an increase of greenhouse gases in our atmosphere. Global warming is the term used to describe the increase of our planet’s average temperature. This does not mean that earth will become tropical; but rather extreme weather pattern shifts will occur in all regions of the world, warming some places and cooling others. These processes include more frequent and more destructive natural disasters worldwide. What Is Causing Global Warming and Climate Change? Greenhouse gases and other anthropogenic dark particles in our atmosphere are a direct link to global warming and climate change. Burning fossil fuels for energy is the worlds leading man-made contribution. Fossil fuels include oil, natural gas, and coal. We commonly burn coal to produce electricity from coal-powered plants, we use natural gases to heat up our homes, and we burn oil to drive our cars. The second major contributor to the increase of greenhouse gases is deforestation. Deforestation accounts for 15% of carbon dioxide emissions according to the recent Union of Concerned Scientist (UCS) report, which is 5% less then the 2007 report by the Intergovernmental Panel on Climate Change (IPCC). The UCS says that the decrease is not due to an improvement in deforestation, but rather an increase in burning fossil fuels, among other factors. Other human activities producing greenhouse gases are: polluted oceans, dirty snow, not recycling, landfills and wastelands, and urbanization to name a few. Entering our atmosphere through the burning of fossil fuels, deforestation, solid waste, and as a result of other man made chemical reactions. Produced and emitted into our atmosphere by livestock and other agricultural applications, the breakdowns of our waste in landfills, and the production of fossil fuels, are among the main contributors. Produced when fossil fuels and solid waste are burned, and through various industrial and agricultural practices. These are synthetic gases greatly depleting our ozone layer, known as High Global Warming Potential Gases. These gases are created solely by human activities such as the production and use of air conditioning systems, refrigerators, and aerosols. Climate change will affect all aspects of our lives from our health and safety to our finances and global economic structure. Occupying 71% of the earth’s surface, oceans play a fundamental part in maintaining the balance of global climates. Changes in wind patterns along with other factors are causing altered ocean currents and circulation. These currents and circulations are collectively known as the Ocean Conveyor Belt. The Ocean Conveyor is greatly responsible for distributing large amounts of heat throughout our planet, making it a corresponding factor to atmospheric influences on earth’s climate system. Furthermore, this directly influences the altered precipitation patterns worldwide. Changes in our precipitation patterns will cause flooding in some regions and droughts in others. This can affect many crop fields, hindering growth in some and completely destroying others. Since crop farms are used as food for people’s needs, as well as to feed our livestock, which ultimately is sourced as meat and dairy products for many humans, thus resulting in a chain reaction of world hunger challenges. The droughts have also been the cause of increased wildfires worldwide, burning down homes and crops among other things. Such catastrophes end up having a negative financial impact to many economies worldwide as recently seen in the US. Fluctuating precipitation patterns also hinder our fresh water supply. From hunger to homelessness, 130 countries have developed their biggest cities on lowlands. 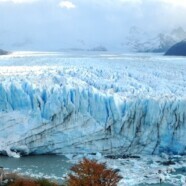 Sea levels are rising due to increased water temperatures and rapidly melting glaciers. As a result, these cities are most vulnerable to flooding and erosion. Many of these cities are at risk of sinking below sea levels, leaving millions and possibly billions without homes. With an increase in urbanization triggered by ever-growing industries supplying the world’s pipeline demands, this forces many to relocate to the larger cities and puts more people at risk, should sea levels rise. If hunger and homelessness is not alarming enough for us to wake up to the worlds apparent crises, what about poor health? As we fill our atmosphere with pollutants, we give rise to increased respiratory illnesses. According to the World Health Organization over 800,00 deaths result from climate change annually. 150,000 of these deaths are as a result of air pollution, and children are most susceptible to becoming victims of poor ambient air quality. Among the many health issues we are faced with resulting from climate change, ambient air quality is only a fraction of our concerns. We find that climate change is also tampering with the balance of the once powerful, ‘natural selection’. With so many species of birds at risk of extinction due to extreme weather conditions changing at slower or faster rates; and land animals such as polar bears faced with extinction due to lack of food resources resulting from breaking and drifting glaciers; these are only a few among thousands of species facing a threat of endangerment. International Programme on the State of the Ocean (IPSO). The group compared their latest research and collectively determined that all evidence points towards an inevitable marine extinction event, should the existing course of damage continue. The report can be read at www.stateoftheocean.org/pdfs/1806_IPSOPR.pdf. When we summarize these events and analyze the potential catastrophes from around the world over a short period of time, we will see that we are leading humanity to an inevitable course of extinction. After all, what will we do when we run out of our natural food supply? Considering we have already polluted our oceans with PBC and other fatally toxic materials… and since the glaciers are rapidly melting and precipitation has become unpredictable… we are running out of fresh water supply. What will we do when oxygen becomes an endangered molecule? What happens after we have polluted our air so much that we risk the spread of airborne diseases every time we breathe? What Can We Do To Stop Global Warming and Climate Change? We can slow down global warming, reduce greenhouse gas emissions, improve ambient air quality and reduce the affects of climate change by adapting better ethical practices in our daily routines. It starts at home. Simple decisions such as opening the blinds during the day to make use of natural sunlight, changing all light bulbs to energy saving bulbs, turning off access lights, limiting our electricity usage during peak hours, turning down the thermostat 1.5 degree Celsius in the winter and up 1.5 degree Celsius in the summer, and minimizing hot water usage. These are all conscious decisions we can make in an effort to reduce thousands of pounds of carbon emissions from reaching our atmosphere, through each household annually. There is no reason to leave the water running while brushing your teeth, shaving, or while you wash dishes. We can take shorter showers, and limit the amount of flushes we employ throughout the day. This will save thousands of liters of fresh water from being wasted annually from each household. Making better transportation choices, such as fuel-efficient cars, carpooling and taking public transportation are options readily available to us. These are disciplines we need to practice communally. What Else Can We Do To Stop Global Warming and Climate Change? Collectively, we have sat back and allowed governments and lawmakers to make decisions for us. Greed driven corporations with influential voices spoke for us. Today’s conditions result from an absence of understanding the consequences of individual and societal actions. The first step is awareness. The second step is making personal changes in our daily lives. The third step is proclaiming our citizenships as earth inhabitants, and asserting our elected officials towards making immediate changes in the way we operate our cities, and on a larger scale, our countries. We must have better recycling and waste management programs. It is necessary to infuse alternative clean energy sources, to meet supply and demand. It is essential for us to invest in ‘clean water solution’ programs. Finally, it is absolutely necessary to invest in, and develop sustainable plans on how to begin the process of reversing the damage we have built. Making these changes will be very costly for any economy. However, the devastating consequences of not participating in such changes will far surpass any monetary setbacks. Find out how you can make a personal impact by clicking here.